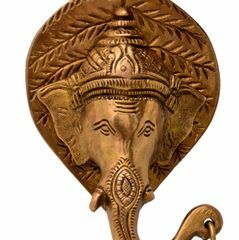 This is a uniquely designed wall hanging made of brass. 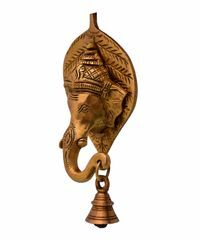 The elephants trunk carries a bell hanging below. 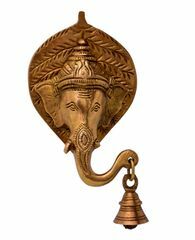 The showpiece has been meticulously carved, with an eye to minute details, like the Ganesha's decorative head and crown.